Hello hello! It's been a while since we have blogged but for good reason! We have been busy! Spring wedding season is finally coming to an end and I am happy to share over the next few weeks what we have been up to! This post is dedicated to something different and loads of fun for us! 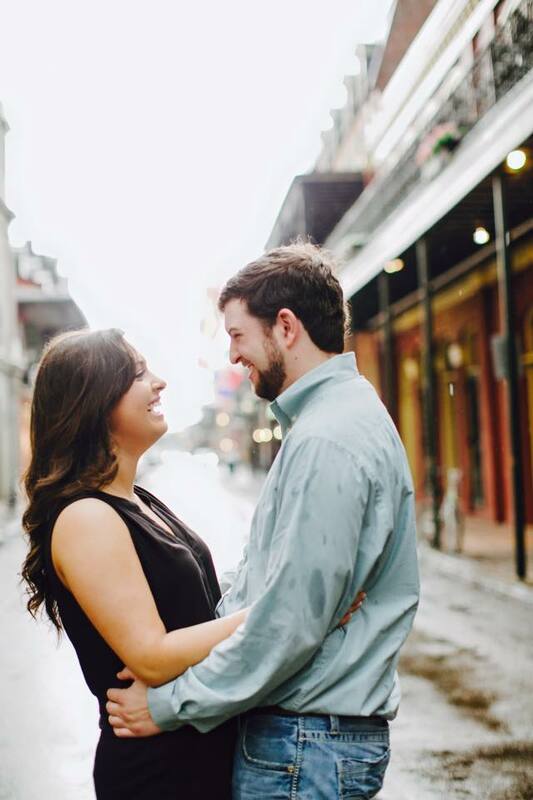 We were contacted by a past bride Lindsey a few months ago in regards to her brother, Hunter, proposing to his girlfriend. She asked us to please lend a hand in the proposal planning process since she would be out of town and wanted it to be special. 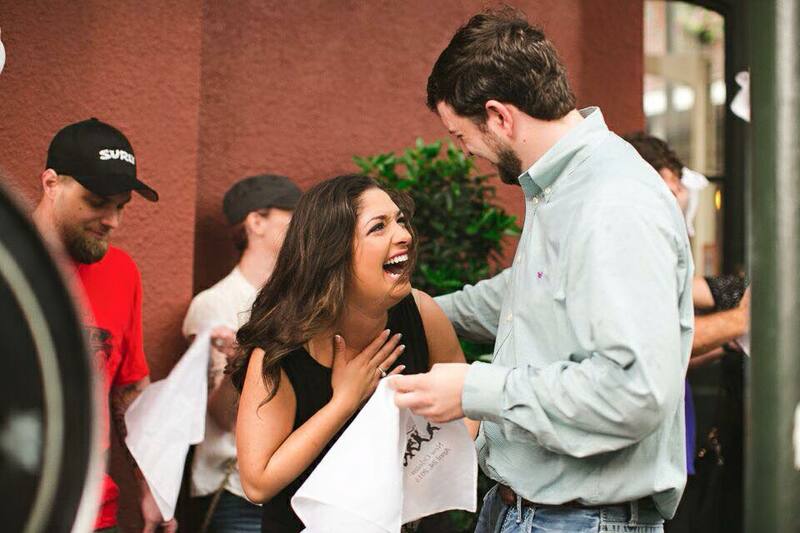 Lets face it, some men are clueless when it comes to a proposal and nerves can get the best of everyone. The proposal was in ONE week and we had to get creative! Hunter let us know that he would love a second line band, and that was about it. The rest was up to us and we started brainstorming to create the perfect moment. How could we incorporate a second line band into a proposal without it being obvious or over the top? 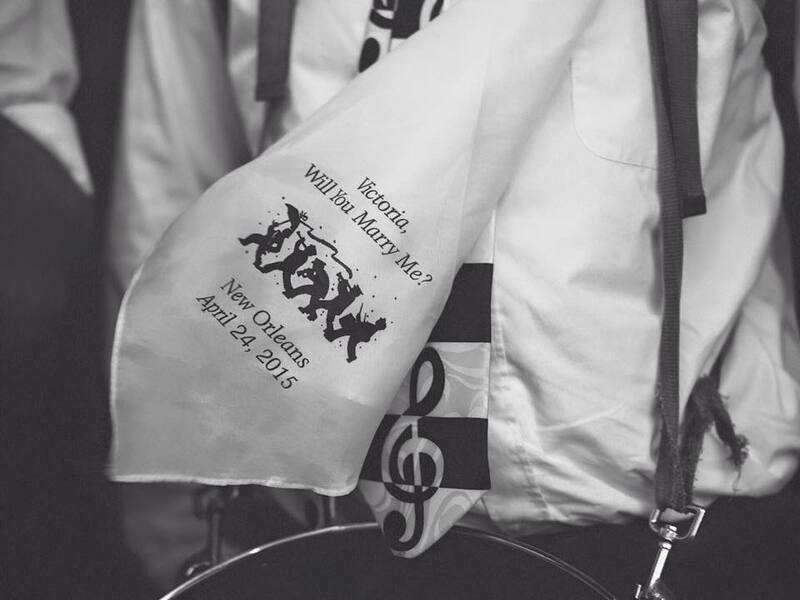 We hired Lagniappe Brass Band to meet us in the French Quarter and had personalized hankies made that read "Victoria, will you marry me?" The PLAN was for the couple to stroll past the second line band and hand them a hankie in hopes she would read the writing. Unfortunately, the weather had other plans and it was literally STORMING. 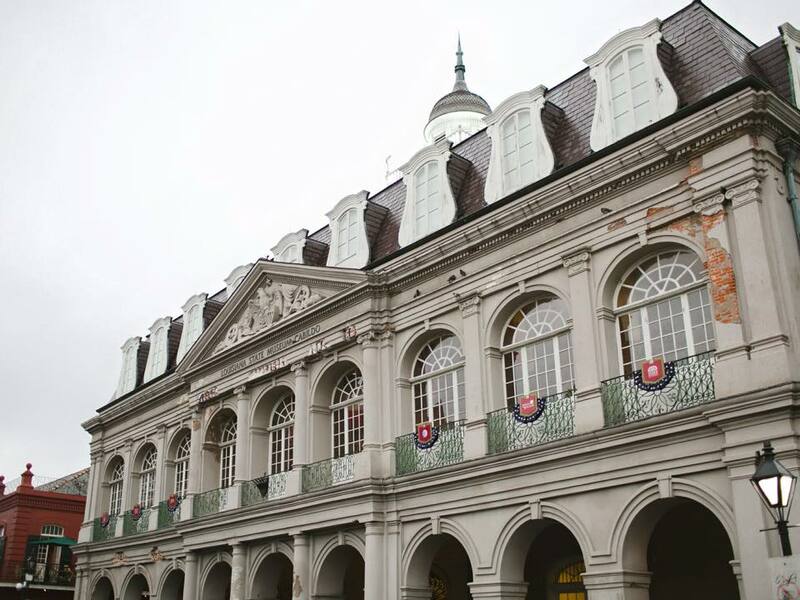 On a whim, we moved the band under the balcony at Muriels Jackson Square and still went with the plan. We handed out about 20 hankies to random strangers who joined in on the fun and dancing while we waited for the future bride to arrive. It was SO rainy and windy, Victoria stormed right past us in hopes to get inside the restaurant as soon as possible. You can see myself handing her a hankie and asking her to join in. 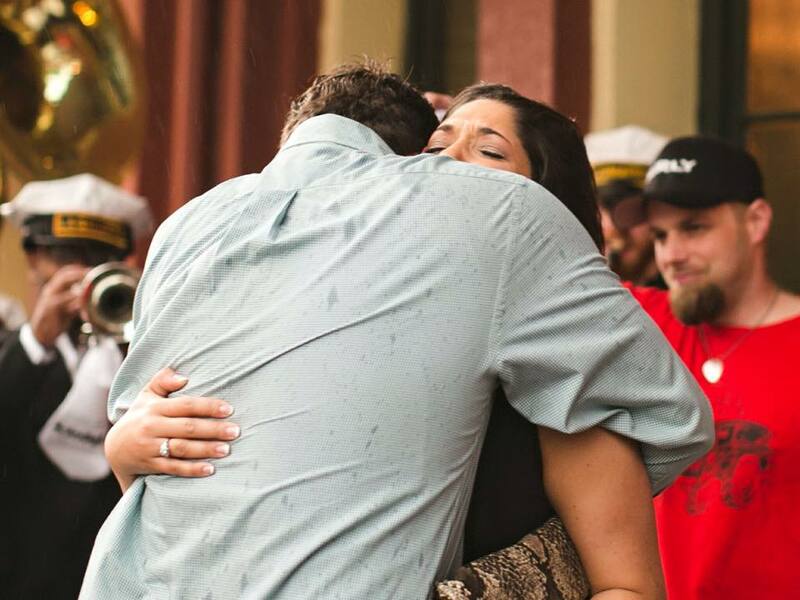 She wasn't have any part of it but her future husband grabbed her and they began dancing. It was a beautiful moment to witness, and when she finally read the hankie, tears started flowing! 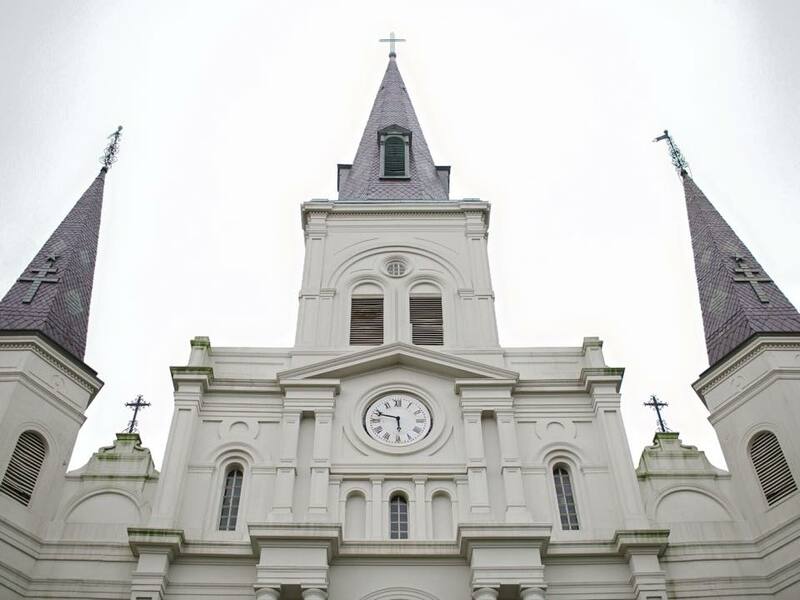 Of course, the weather turned to blue skies right after the proposal commenced. Thankfully, we hired a photographer to capture every second and we are so glad we did! 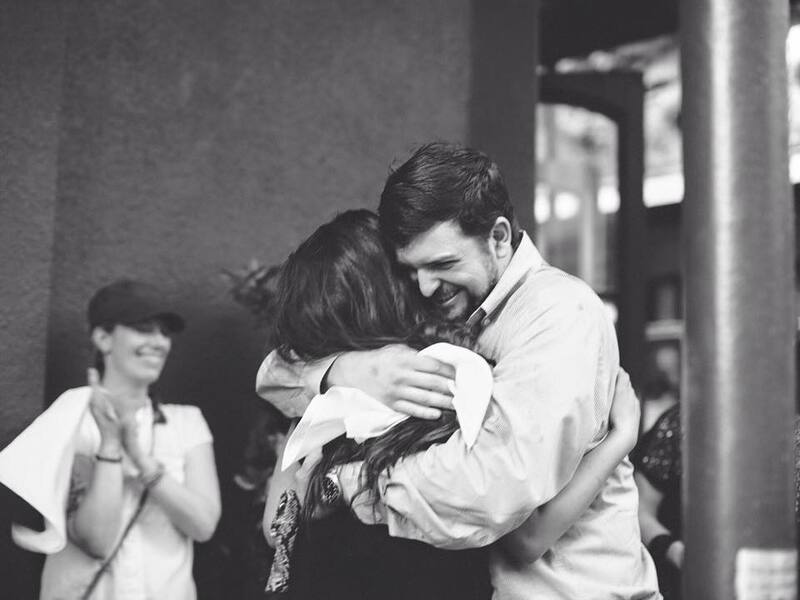 Eddie Marroquin captured the moments leading up to the proposal and the end result beautifully. Take a look for yourself! 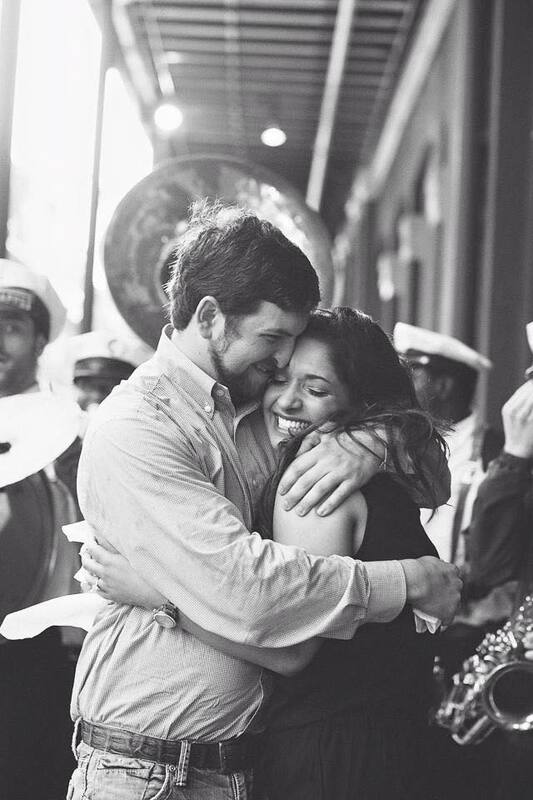 We are so happy for Victoria and Hunter and wish them many years of wedded bliss! Thank you for including Belle Soiree Events!